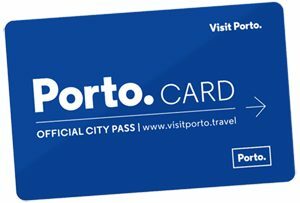 The Port Wine Cellars are a “must do” when you visit Porto. No one will argue or disagree about that, for sure. 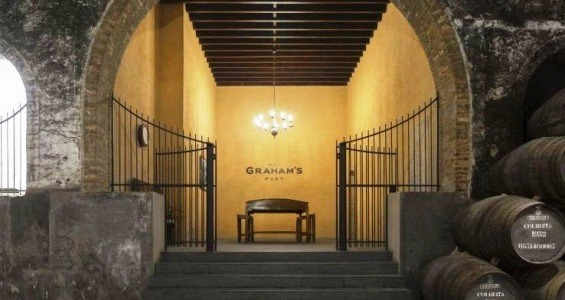 There are several wine cellars along the margin of Douro river (Gaia side, looking at old Ribeira quarter) but the Graham’s Porto Lodge, less immediate and less visible from the riverside pathway, is my favourite. 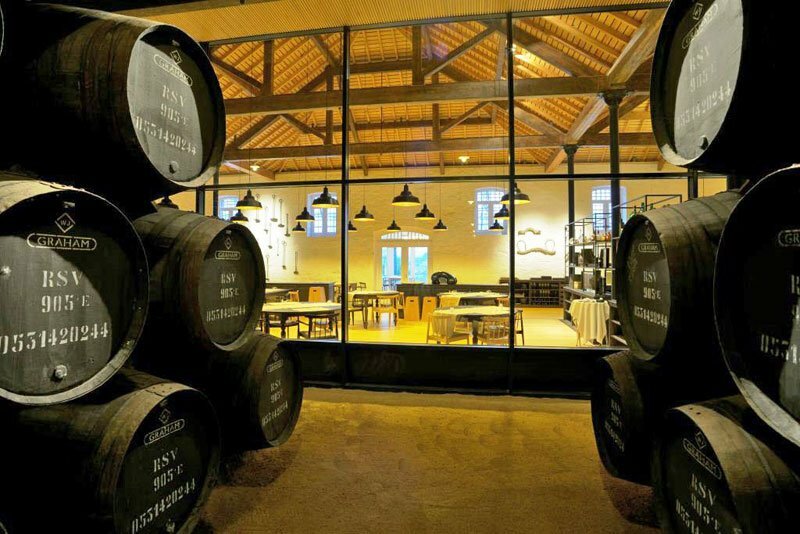 The guided visits start with a short film where you will learn the most important things about the origins of Port Wine and the fine art of it’s production, harvesting and blending. Then, you’ll find a small but very interesting museum area with a few old photos, documents, century-old tools, etc. Finally, and this is where the real fun begins, you will be taken to a huge working gallery with more than 3.500 casks, where the wine (the real thing) is aging, as well as many large oak tonnels, vats, and an extensive Vintage Port cellar located in beautiful old tunnels. The visit ends with a taste of different Port Wines, included in the ticket price. At the end of the visit, you will have the opportunity to buy a wide variety of Ports and table wines produced from the several Symington Family Estates and a selection of wine accessories and gifts. There is also a very good and expensive restaurant at the lodge, that serves both lunch and dinner and shows the same breathtaking views overlooking Douro river and Porto.